All film is propaganda of some sort, particularly in terms of documentary films, which in recent years have turned into advocacy films. For those not familiar with my terminology, advocacy films are non-fiction films that take a position and at the end ask me to 'take action' to promote said position. The Act of Killing takes a unique or bizarre take on its 'propaganda', depending on your point of view. Rather than document the killing of thousands of Indonesians after a failed coup, director Joshua Oppenheimer goes to the killers themselves with an offer they could not refuse: recreate your acts in any type of film genre you wish. What we then get is a flat-out bonkers document of men who in turn are divorced from reality and perhaps slowly accepting their culpability in monstrous crimes. The time, 1965. The place, Indonesia. A coup attempt is made that fails. The Communists are blamed for the chaos, and there is a violent aftermath with thousands upon thousands of "Communists" killed. In fairness, "Communist" was a catch-all term for any enemies of not just the State but for those doing the killing. There were the ethnic Chinese, intellectuals, or anyone who you wanted to get rid of. To help in the cleansing, an unholy alliance of paramilitary forces and gangsters (or 'free men' as they keep calling themselves even now) took the job of getting rid of those 'communists'. Among these people are Anwar Congo and Herman Koto (or as I thought of them, the Old One and the Fat One respectively). These two are not ashamed of their acts to 'clean up Indonesia'. Far from it: they delight in regaling anyone within earshot of their brave acts (with a little bribe to spare some Chinaman here and there). Now they get a chance to show the world what kind of men they are. Congo takes up to the rooftops to show us how he strangled men with wires (he found it was easier this way than in beating them to death...too much blood), a method the movie-mad Congo learned from gangster films. They now get their chance to recreate the joy they got from their acts (particularly Koto, who has an odd penchant for appearing in drag). They are joined by a couple of other 'free men' as well as members of the Pancasila Youth, the paramilitary group they inspired back in the day. Indonesia does not remember this little bit of wholesale slaughter, and those who partook in these endeavors are highly influential in politics. Members of the Indonesian government, from governors to a Vice President, meet with them to express their joy at their past actions and to keep up the 'good fight' against them Reds coming back. As filming continues, where we see the gruesome twosome show their stuff in Western, gangster, and even a bright musical number, we see that perhaps under the veneer of bravado there may lie a sense of horror at what they did. One of them, though hardly regretful at his acts, suggests that perhaps the Communists were not the evil ones, but instead it was them. Near the end, Congo finds that putting himself in the place of a victim in a recreation might be too much for him to bear, and he speaks earlier about how he has nightmares (which oddly, are recreated on film as part of this 'movie'). Only the dress-wearing Koto appears unmoved by all this, even having a go at Parliament, where his defeat has nothing to do with his passion for fashion or his killer past than his inability to give gifts in exchanges for votes. At the end of The Act of Killing, when Congo comments that he could feel what his victims did, he is reminded that in reality, for them it was even worse because unlike him, they knew they were going to die. In many ways, it is very creepy to watch The Act of Killing. We're watching a group of men who are not concerned in the least of what the rest of the world thinks about them. One of them says that should he be taken to The Hague for war crimes, he'd welcome the opportunity to gain more fame. We are watching people recreate how they not just killed others, but burned down their homes and terrorized people. What makes things even more bizarre is that other Indonesians seem to take all this as almost delightful. Seeing them act as 'victims' then to burst out into laughter and applause once its all over, seeing a young, perky female 'newscaster' talk with glee about their acts, seeing the Pansacila Youth cheer on the recreation of burning down a village and slaughter all their fellow Indonesians, it seems that the nation as a whole doesn't believe they've done anything wrong. "If we have too much democracy, we have chaos," one of them says. These men wouldn't have participated in this if they thought they did anything wrong. However, the brilliant thing about Oppenheimer's film is that putting them in the situations they created, they are given the rare opportunity to convict themselves, even if by having flat-out crazy moments, they also celebrate themselves. 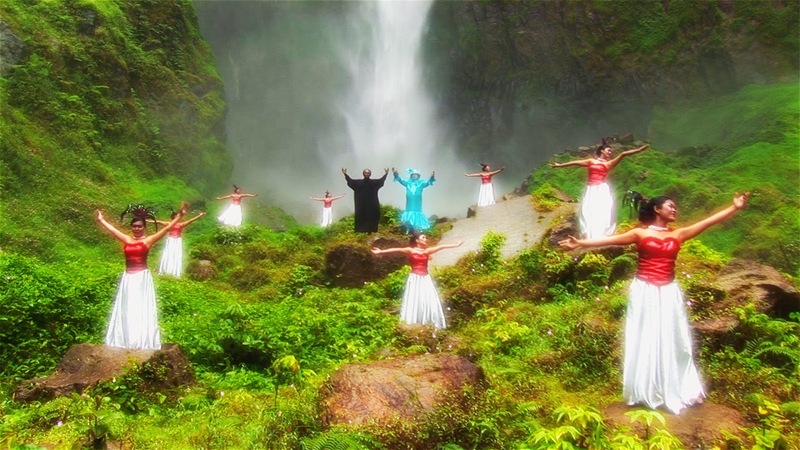 Nothing captures the bizarre nature of The Act of Killing more than the musical sequence Congo and Koto (again in drag) partake in: to the theme of Born Free, they are accompanied by a bevy of beauties and two figures who if memory serves right ask for forgiveness from them. Perhaps this is why I am not as overenthusiastic as others in regards to the film itself. Is there a risk of turning the acts of these proud murderers into perverse entertainment, even to hold their nutty fantasies in ridicule? There were two things that keep me from fully embracing The Act of Killing. First, it is a film that perhaps is longer than it should be. At a little over two hours it is a lot to take in (particularly the focus to Herman's quixotic electioneering). Second, while it is understandable that Oppenheimer could not directly tackle the mass murders from the victim's perspective (the subject still taboo in Indonesia) but not having any perspective from their side is a bit jarring (if seeing a man constantly wearing dresses with no sense of irony not being jarring enough). 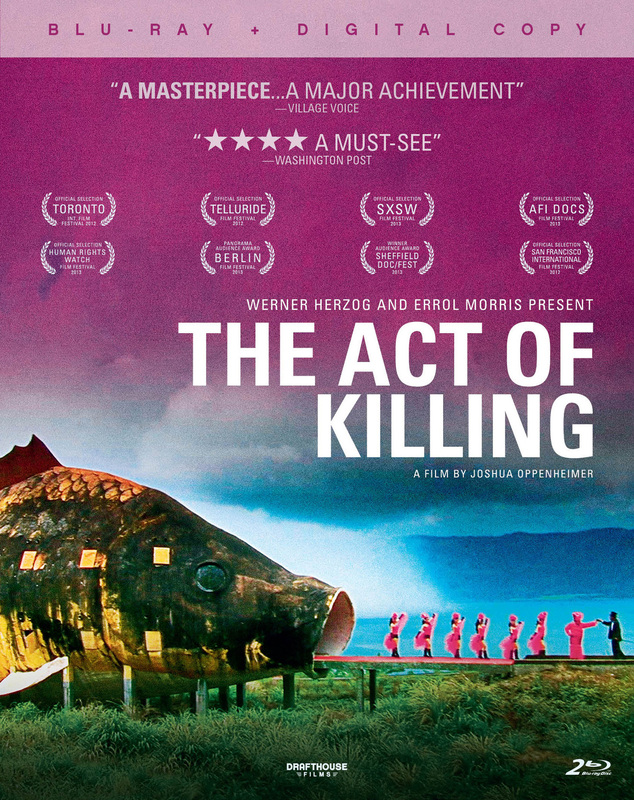 The Act of Killing is a strange film, a disturbing film, but a film that dares to be different and in the end, reveal that these gangsters may escape justice, but not the judgment of history, which will not grant them a happy Hollywood ending, but the shame of all humanity. One of them described himself as 'a Human Dropout'. I couldn't have put it better myself.